The second day of meeting was focused on a technical discussion about the requirements for the three Z-BRE4K industrial use cases, which was followed by the development of an action plan to define more detailed conditions for each end user. During the meeting, the project partners visited SACMI facilities through a guided tour of the Museum (Must), that illustrates the fascinating history of the company, and of the plant, allowing a close look at the cutting-edge technology that makes SACMI a leader in several global businesses. 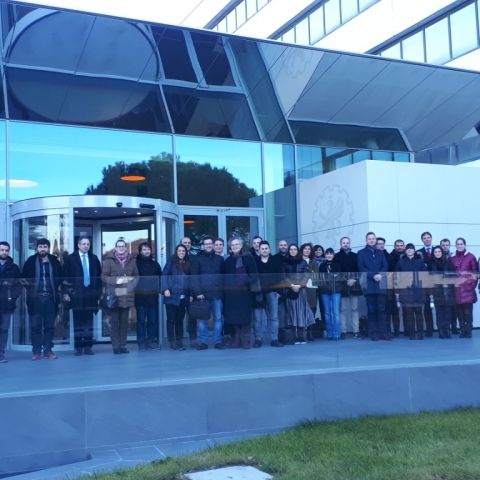 According to the whole consortium, the aim of the meeting was fulfilled: the meeting was a good opportunity for the partners to share the status of the different work packages and to set down future actions. Moreover, the discussion about the three use cases ended positively with a concrete strategy for the development of the use cases.